Bendis continues to slowly establish Riri Williams as the new Iron Man, we are giving so good character development so far. 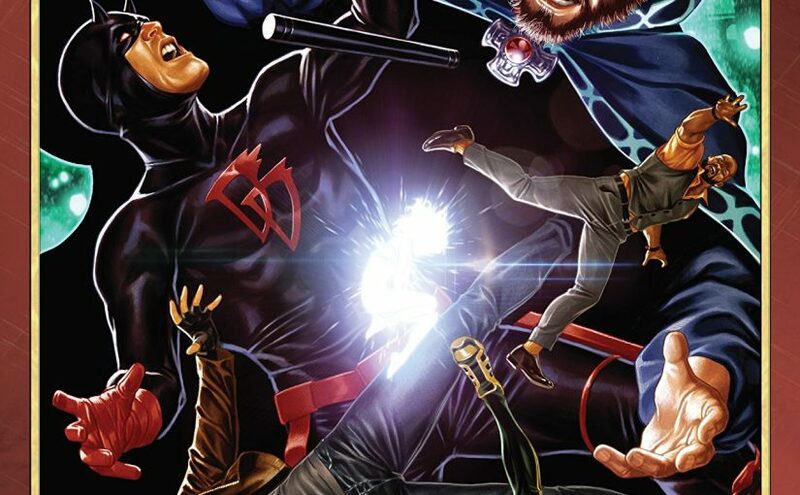 Bendis is showing us how someone so young and smart, when put in situation where there giving so much power and responsibility start to question his or hers future. 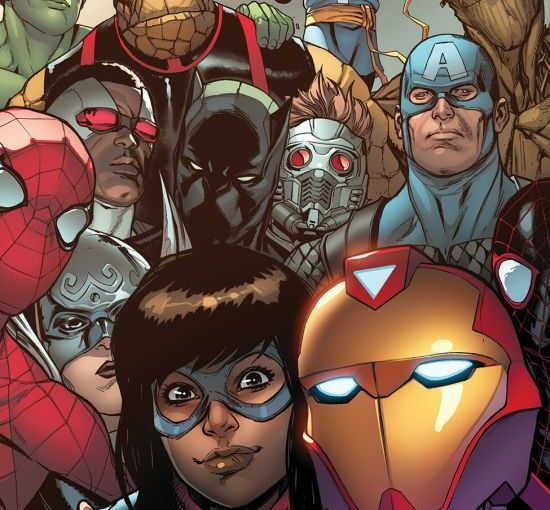 Riri comes off as someone who’s not truly fully aware of what being a superhero brings. Things like accountability and responsibility are not important right now, but let’s be honest, what teenager is. After saving Pepper Potts from Tomoe and the biohack ninjas, she is approach by Sharon Carter of S.H.I.E.L.D., she is surprised at how capable Riri is with the armor and attempts to recruit her. Of course, Riri denies the offer which causes a brief spat between the two of them, it’s because of Shields miss use of their power in the past that a lot of people view them as the real-world NSA. 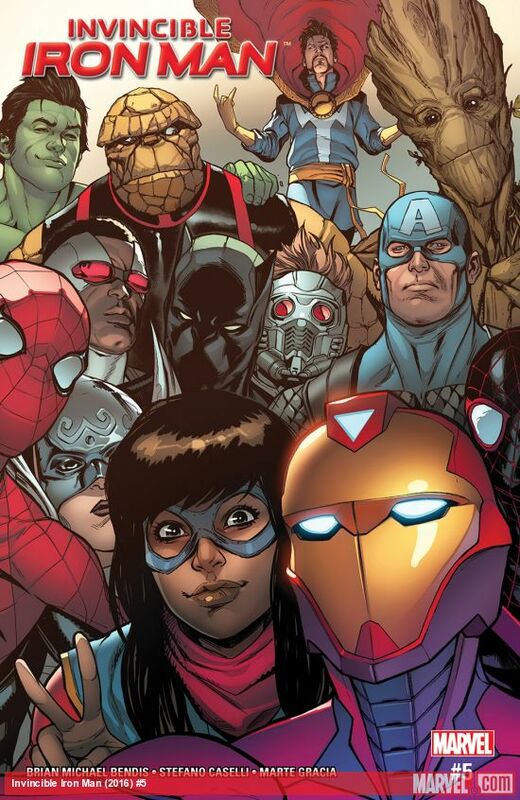 A twist at the end issue or perhaps the overall story shows Tony Starks Virtual projection is talking with Friday. It’s revealed to us that he’s not intelligence coding, but more of a digitized consciousness of the actual Tony Stark. Friday asks about Riri Williams well-being and the Tony Stark AI gives a very Ultron like response towards humans. Conclusion: This issue was pretty solid, we got more character development for Riri, and that’s always good. But the most intriguing them in this issue is the talk between the Friday and the AI Tony Stark. While it’s hinted that the AI system is becoming another Ultron, I doubt marvel would go that route again, but then again this is Marvel where talking about so it could happen. So far, the introducing of Riri Williams as the new iron man going good I hope Bendis continues to focus on her development. This October, Marvel Comics evolves once again in one of the most shocking and exciting changes ever to shake one of Marvel’s “big three” – Captain American, Iron Man and Thor – Marvel Comics will be introducing an all-new THOR, GOD OF THUNDER. 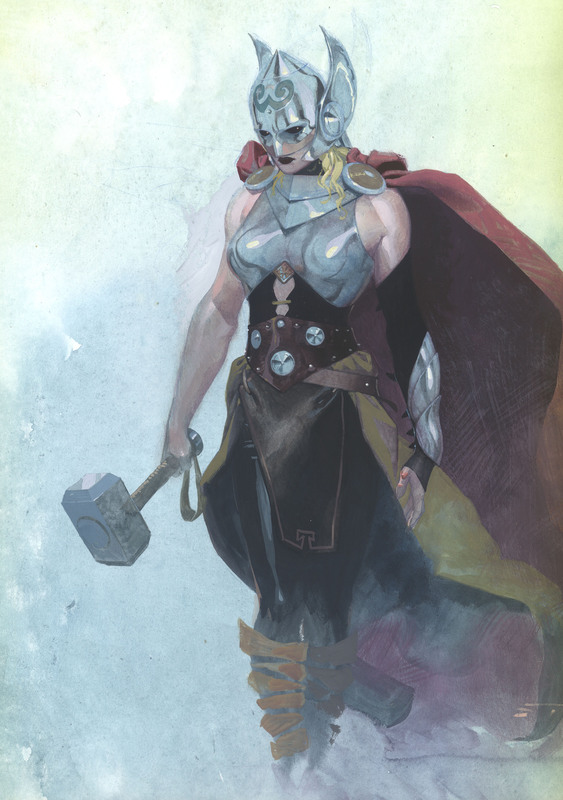 No longer is the classic male hero able to hold the mighty hammer, Mjölnir, a brand new female hero will emerge who will be worthy of the name THOR. Who is she? Where did she come from and what is her connection to Asgard and the Marvel Universe? “The inscription on Thor’s hammer reads ‘Whosoever holds this hammer, if HE be worthy, shall possess the power of Thor.’ Well it’s time to update that inscription,” says Marvel editor Wil Moss. “The new Thor continues Marvel’s proud tradition of strong female characters like Captain Marvel, Storm, Black Widow and more. 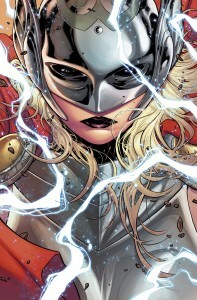 And this new Thor isn’t a temporary female substitute – she’s now the one and only Thor, and she is worthy! THOR is the latest in the ever-growing and long list of female-centric titles that continues to invite new readers into the Marvel Universe. 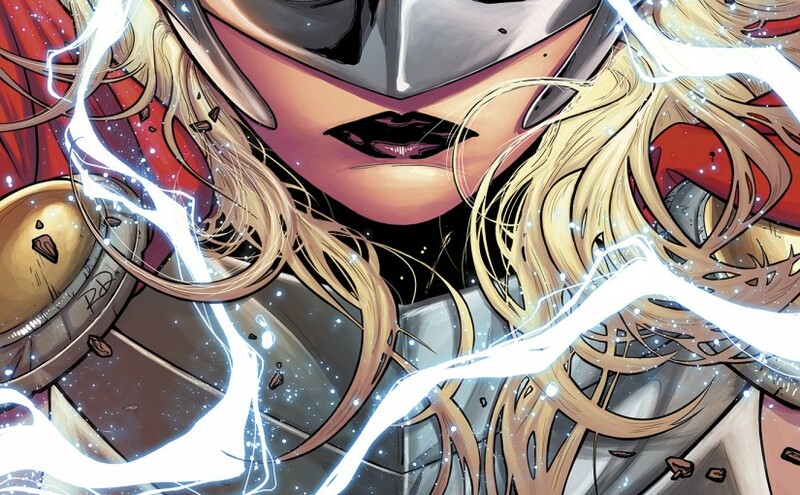 This femaleTHOR is the 8th title to feature a lead female protagonist and aims to speak directly to an audience that long was not the target for Super Hero comic books in America: women and girls.